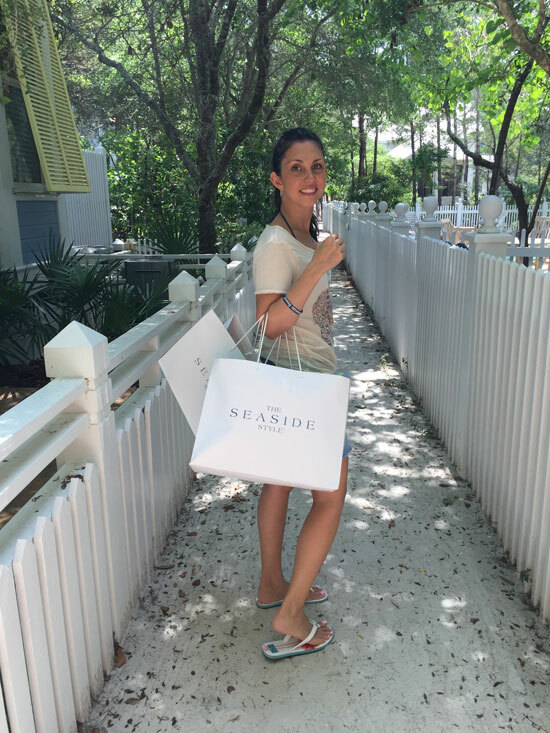 I love it when business and pleasure collide and that’s exactly how I spent a weekend in Seaside Florida (the popular Northwest Florida beach community that is best known as the location for the film The Truman Show starring Jim Carrey) a few weeks back. This was my second visit there, but my first with my family and I just can’t say enough great things about this charming beach town. I did a book signing on the porch of Sundog Books and I was really excited to bring my family and friends along for the trip and turn it into a little family getaway. I think I might make this a yearly ritual! For those of you who are looking for a relaxing family getaway, clean beaches, blue water, friendly people, shopping, ceramics, beautiful rental homes, bike rides, food trucks, farmers markets, live music on the lawn, all within walking distance – Seaside is for you. Here’s some info on how to get there, where to stay, eat, and things to do. 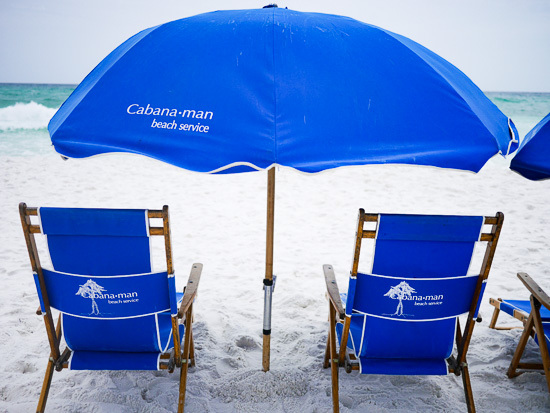 The closest airport to Seaside is Panama City Beach, Florida, it’s about 35 minutes away from Seaside. Sunshine Shuttle picked us up in a large van, equipped with car seats and friendly faces. Seriously, we were greeted by the nicest driver which really set the tone for our wonderful trip. 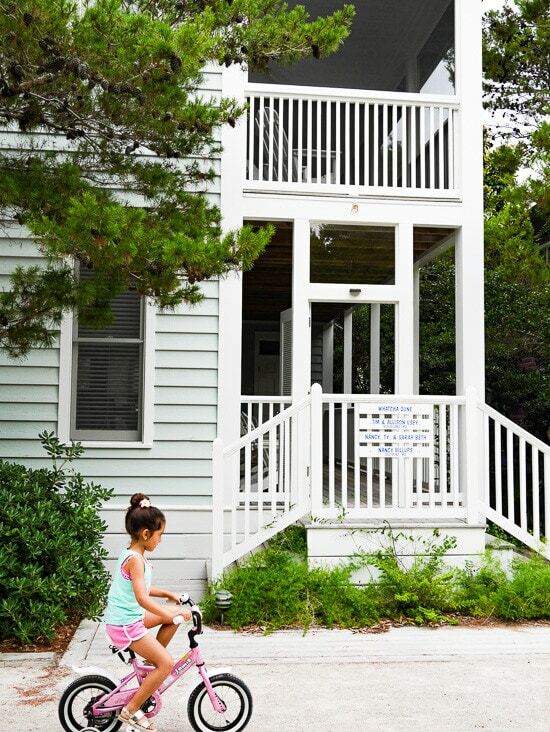 The only way to truly experience Seaside with your family is renting a beach cottage. We stayed in a beautiful cottage rental called Watcha Dune with the Cottage Rental Agency which slept eight. It had a full kitchen, 2 porches with wooden deck chairs, board games, bicycles, pool passes, and beach passes all within a short walk (or bike ride) to the beach. CRA is the iconic beachside town’s original rental agency, started by its founder and remains the only on-site, full-service provider of private vacation rental properties and helps more than 100,000 guests each year make memories, plan weddings, even find the perfect bike for a daily ride. My mornings start off with a short walk to Amavida Coffee and Tea, best place to go for a great cup of coffee (fair trade) as well as tacos, arepas, empanadas and more. 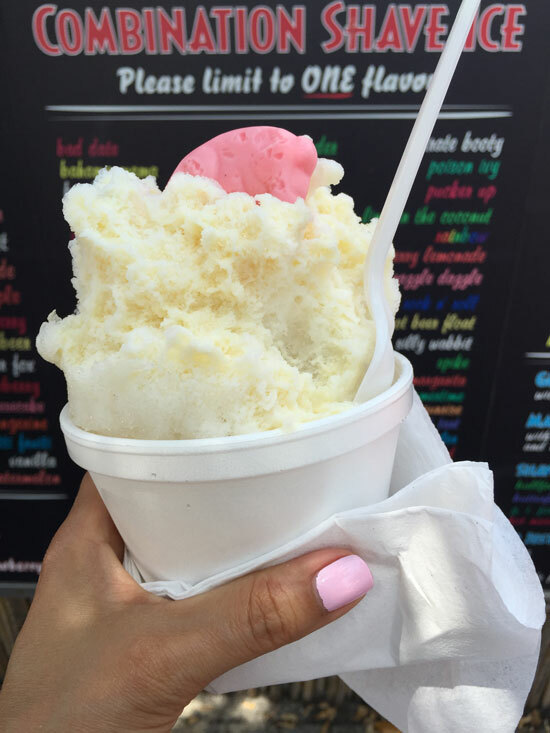 Frost Bites – Serves Hawaiian shaved ice, homemade frozen custard, fresh squeezed lemonade and cold drinks. Barefoot BBQ – Hormone- and steroid-free BBQ. 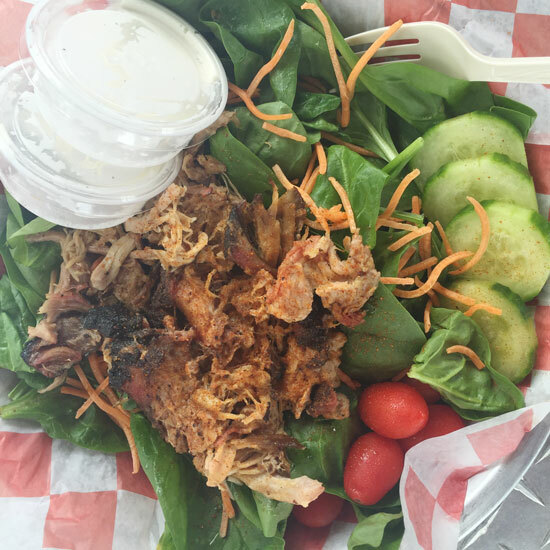 The smoked portabella and pulled chicken salad is a must! Murphy is one of the nicest people you’ll ever meet; great food, great people. 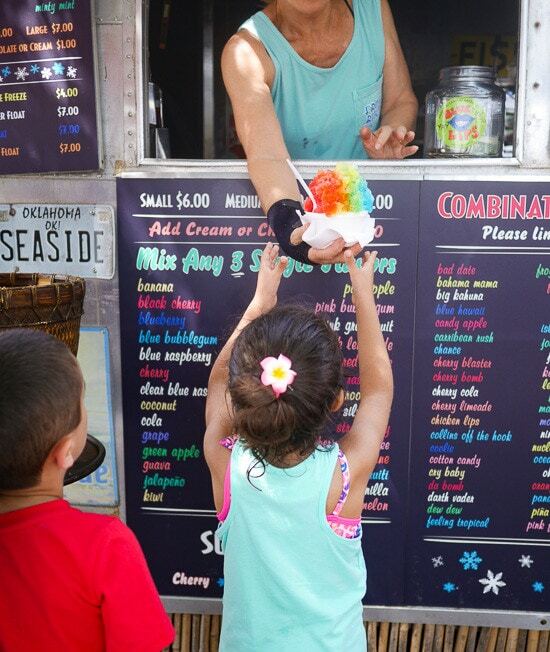 Frost Bites has the BEST shaved ice! 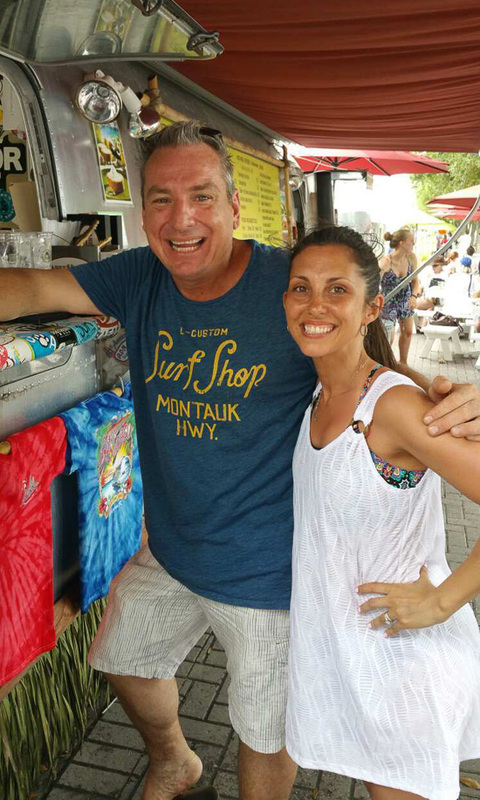 The Shrimp Shack has the best sunset views and a casual atmosphere, not to mention the best gulf shrimp in town! The steamed royal red shrimp and ice cold oysters on the half shell are a must. 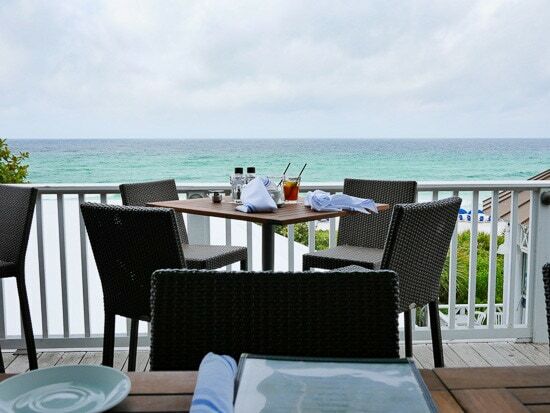 for lunch and dinner with wonderful sunset views. Eating breakfast at Bud and Alleys with this stunning view! 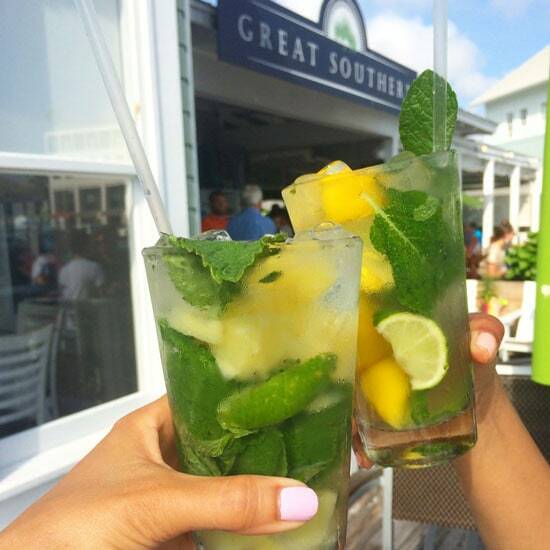 Great Southern Cafe is known for their awesome mojitos and delicious southern food. A must while visiting Seaside. 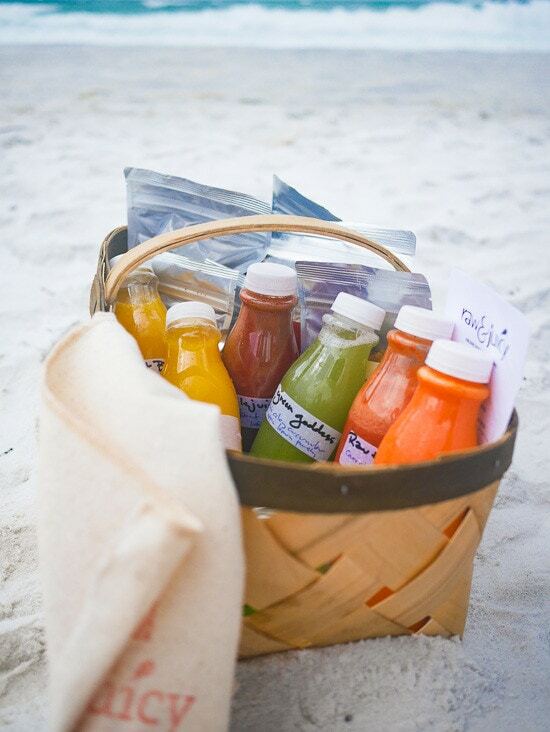 Grab some juice and snacks at Raw and Juicy and bring it to the beach! Bike Riding: The best way to see this charming town is by renting a bike and peddling around. We even got smaller bikes with training wheels for the kids. If it’s raining, you can hit the pottery shop and bring home a hand made souvenir. 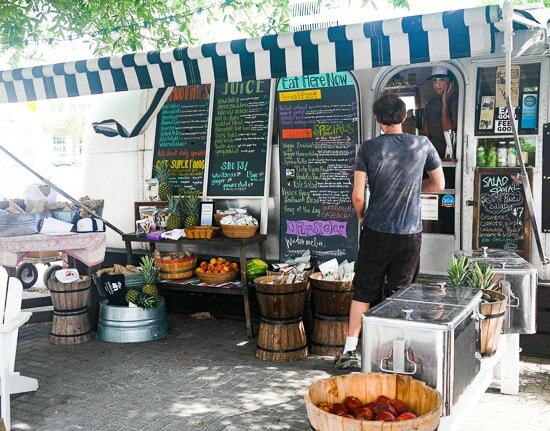 Farmer’s Market: Saturday and Tuesday mornings stop at the farmers market where you will here live music and sample produce from the local farmers as well as baked goods, empanadas, and more. Shopping – If you want to pick up some snacks, beer, wine, cheese and crackers, etc Modica Market is right in town. The Seaside Style has shops for kids and adults, and there’s also lots of great stores for toys, jewelry, beach ware, shoes and more. Free Concerts and Movies – the best things in life are free, you can see a list of free summer concerts, and movies under the stars here. 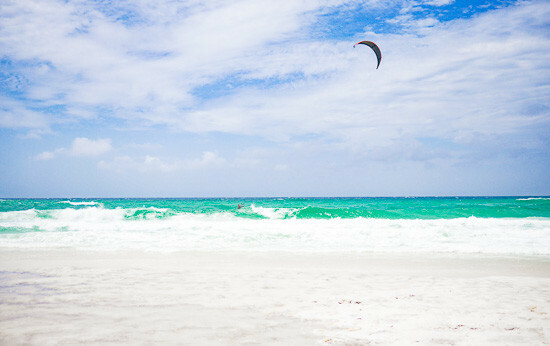 What a great article about 30A! 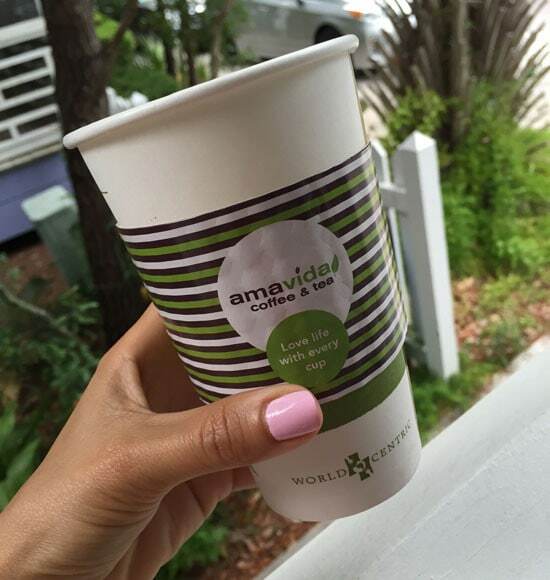 Looks amazing, great review and awesome photos Gina! Would love to visit Seaside! I’m so glad you enjoyed my home away from home! My husband and I have a condo in Seagrove Beach, about 2 miles East of Seaside, and we spend fall and winter there most years. It’s such a fun place with lots to do, and even more to eat! The next time you visit, you must visit The Red Bar. Order the grilled grouper that is served on top of a cheddar cheese grit cake — totally amazing. Also, Cafe Thirty-A is a long time favorite–I’ve loved every dish I’ve ever eaten there, so I don’t think you can go wrong. 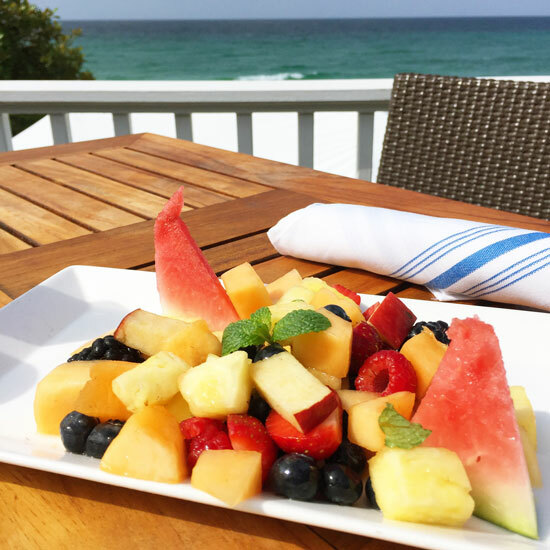 For a more laid back lunch or dinner, hit up Cowgirl Kitchen in Rosemary Beach. They also offer take home meals that are refrigerated and ready to pop in the oven when you want to eat at home, but not actually cook. I hope you do a book signing here again–I missed you last time! I live just down the road from here! 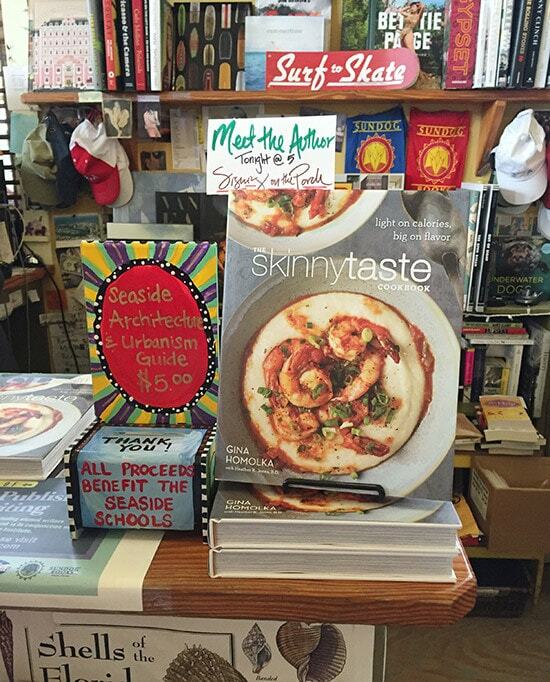 I would've loved to come over and gotten my cookbook signed! You missed The Red Bird Gallery. You must meet Trish and Itsy! Looks like a lovely way to spend a few days. I've never been to Seaside, but your photos make me want to pack my bags and go today!! Thanks for a great giveaway! I so need a beach vacation and we love Florida. Love your family pics and thanks for all the great tips on places to go and things to do! We were just there and luckily it only takes us about 5 hours to drive there. It is such a popular place and the beaches are just beautiful! 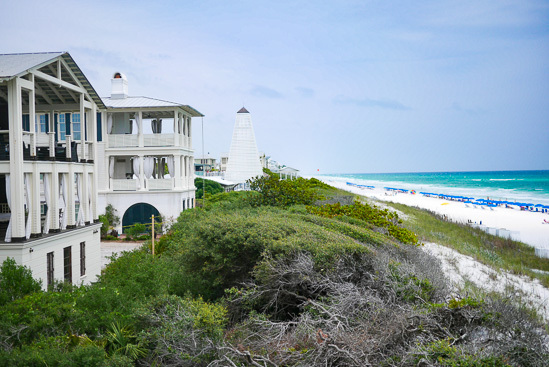 If you have never been, it is a great family oriented beach town… Watercolor, Ally's Beach and Rosemary Beach are within a few miles and are gorgeous as well! We're going to Sea Grove/Seaside in 6 weeks and it cannot come soon enough. Great guide, I'm 100% going to try out all of your recommendations. Love Seaside and 30A area! Our first trip was last year and we can't wait to go back! I have always wanted to visit Seaside and now I want to even more. Thanks for the great tips on where to eat, etc. 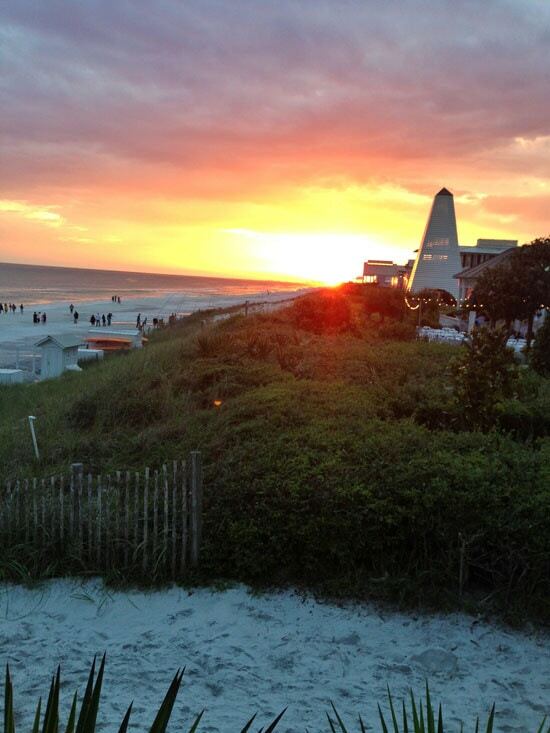 We have spent time in Rosemary Beach and love that whole area!! It's the best family friendly place along the Gulf Coast if you ask me. We loved renting bikes for the week and the beaches are beautiful. If you ever want an awesome house to rent, check out Dune Alright on VRBO! http://www.vrbo.com/561990 it was awesome! Beautiful picture!! Love, love your recipes!!! I have only heard great things about Seaside, my husband and I were unable to celebrate our 30th Wedding Anniversary this year and this would be a great trip to take and celebrate!!! Thank you for giving us all the opportunity to enter this amazing giveaway!! You are truly a blessing to us all. Have a blessed day!!! Looks like a great vacation getaway. How many times can we enter, Gina?? Once a day! Plus you can use the bonus entries. Beautiful family!! Would love to stay in Seaside sometime for a family getaway!! Awesome place to visit! Favorite place on earth! Dying to get back down there. 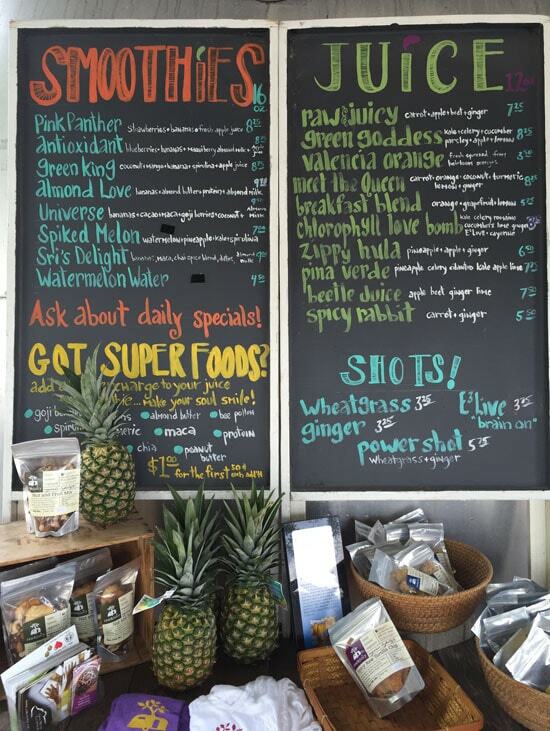 Great Southern is my favorite breakfast spot. 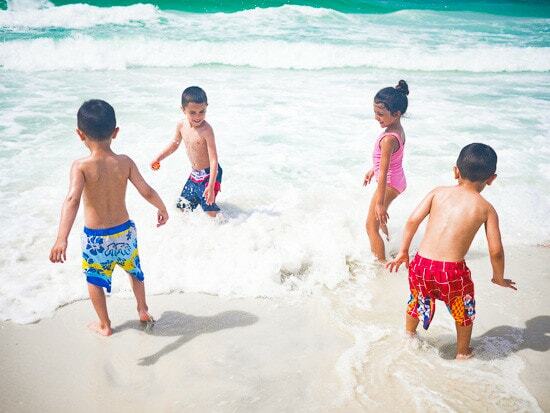 Hope you and your family got a chance to experience Alys and Rosemary Beaches while you were on 30A! Beautiful photos! I love the idea of a beach side cottage! 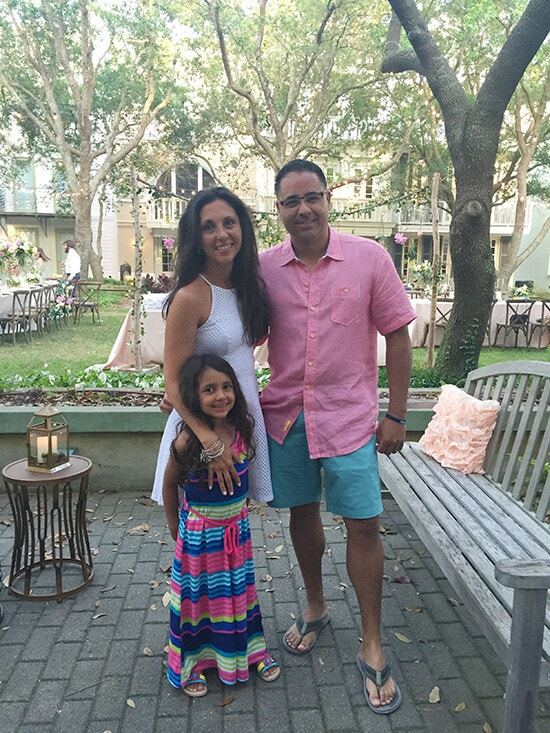 Beautiful family, Gina! Looks like fun. no way good foryou, and what a lovely trip!